A collection of old photographs and postcards bought at antique shops in Germany are the basis of this work. All images show the region of the Alps. 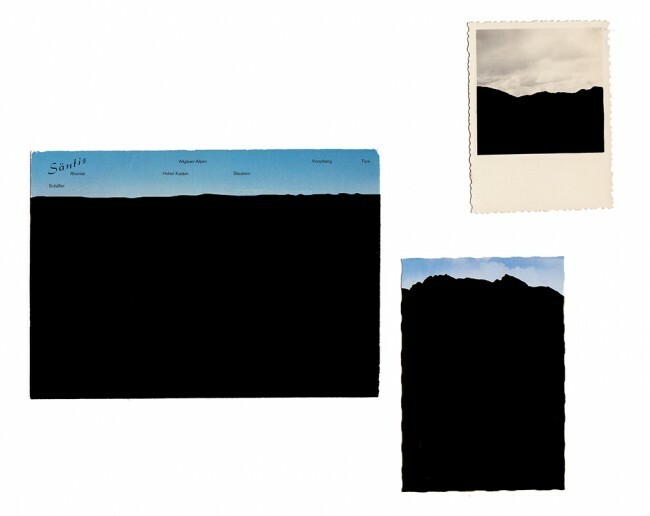 These landscapes are covered, painted with black ink, showing only silhouettes of mountains and the sky in the images. Together, the approximately 300 photographs and postcards form somehow another landscape, as if the group of images could form a representation of the landscape shown right there: a depiction of a landscape within another landscape. 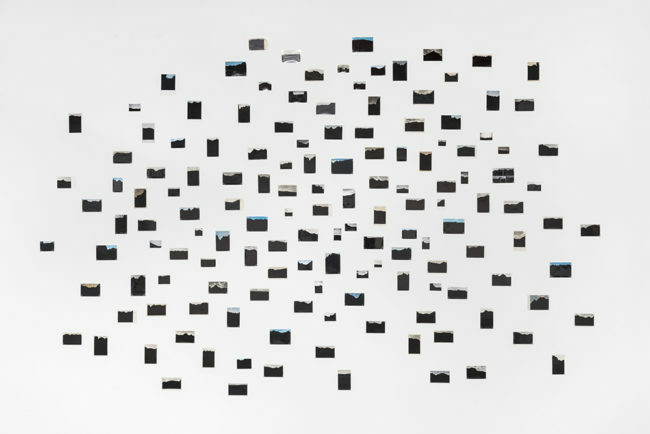 What drove the conception of this work were the boxes of photographs and postcards found in antique shops in Germany. These pictures were cataloged from the types of images, eg. landscapes, mountains, families, houses, etc. 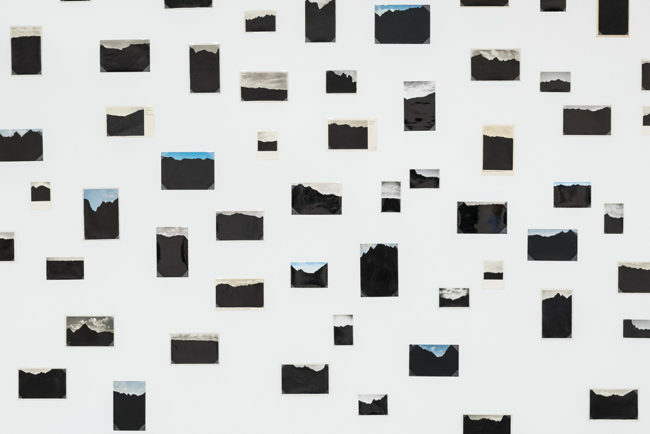 As a library of abandoned memories that are appropriate and interfered, at the same time erasing the representation of a landscape, but also bringing to light historical memories of these places and region. Oblivion was the starting point of Alpenprojekt, being part of the Trilogy of Mountains. The entire project is called Trilogy of Mountains, and it is related to memory and history. 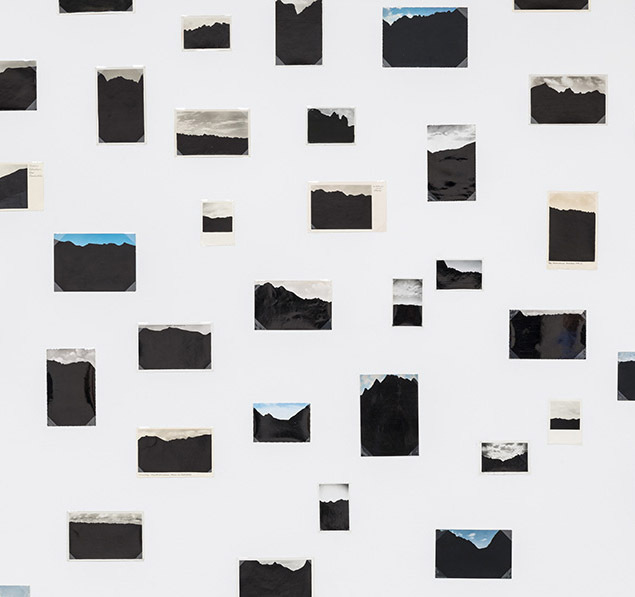 Trilogy of Mountains is devised in three phases: Alpenprojekt, based on the alpine landscape; the second one approaches to Beckton Alps, an artificial mountain in east London; and the third part is related to artificial mountains made with war debris in Germany. Each part of the Trilogy comprises a series of works. The project was initially developed based on a landscape where the notion of Romanticism is still present, then developing toward the post-industrialization period and finally being related to the reshaping of the topography in Germany after the II World War. In Trilogy of Mountains the tension between natural and artificial is a central issue, being rather complementary than opposite.